After a very long haitus and a big decision on what was the best way to continue being able to post. I have solved the issue. I would like to introduce you to Ace. Ace is my new netbook. I would show you a picture, but I don't have a working camera. However, as soon as I can I will introduce you properly. Also, I will be posting some of the many pictures of this beautiful country (and Australia, too) as time allows. I love pinterest. It is an amazing explosion of ideas and tips to try. 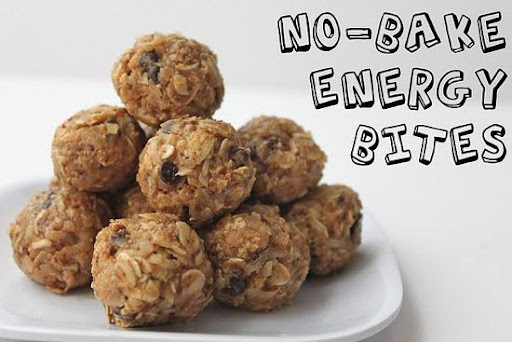 One recipe I'd found a while ago was for Energy Bites. They intrigued me because I often don't have time for a good breakfast before going to school. These looked easy and are full of healthy ingredients (yes, chocoloate is most definitely healthy:). So I pinned them to my board and kind of forgot about them. Then the past couple of days, I have been preparing to go back to school next week and came across the recipe. Yesterday I picked up the ingredients (There is a fun store here called The Bin Inn where they have items for sale in bulk, including flour, cereal, sugar, coconut, etc.) and last night I made it. They are amazing! I just hope they last through the week. I know next time to make a double batch. In case you want to try your hand at them, here is the recipe. PS That is not my photography, but they are definitely what inspired me to try them! I told you I would post more frequently. But I mentioned a while ago an exciting event surrounding some writing. Well, it is now time for me to introduce Teachable Moments. There are so many things that are going to be happening over there this year. First of all my '09 NaNo novel will soon be ready for purchase on Amazon. Also, I have been working on a couple of books that use a Proverb to tell their story. And I am also writing a Preschool curriculum designed to be accomplished in short spurts, giving a homeschooling mom enough time to work with older students. So keep your eye out over there! You never know what's going to show up next!